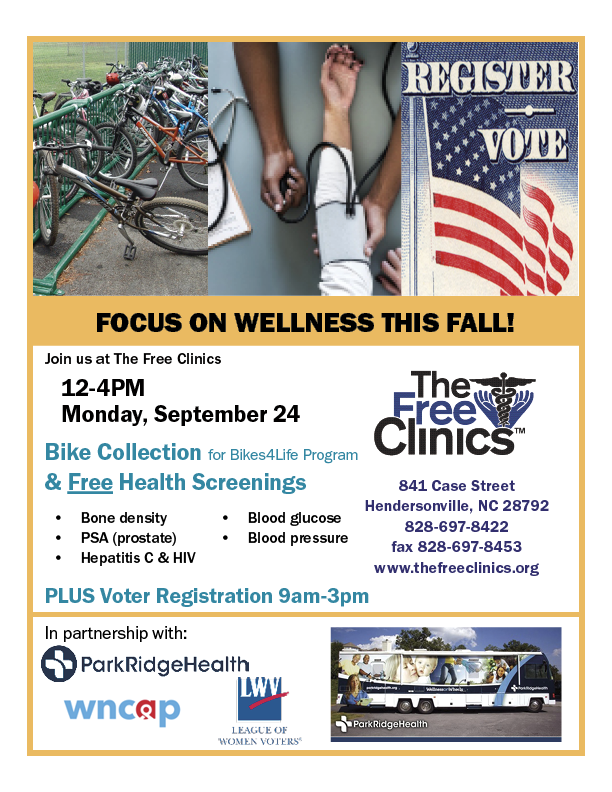 Wellness Screening in collaboration with WNC AIDS Project and Park Ridge Health Wellness on Wheels, TFC offers free lab-work and other screenings at least quarterly. 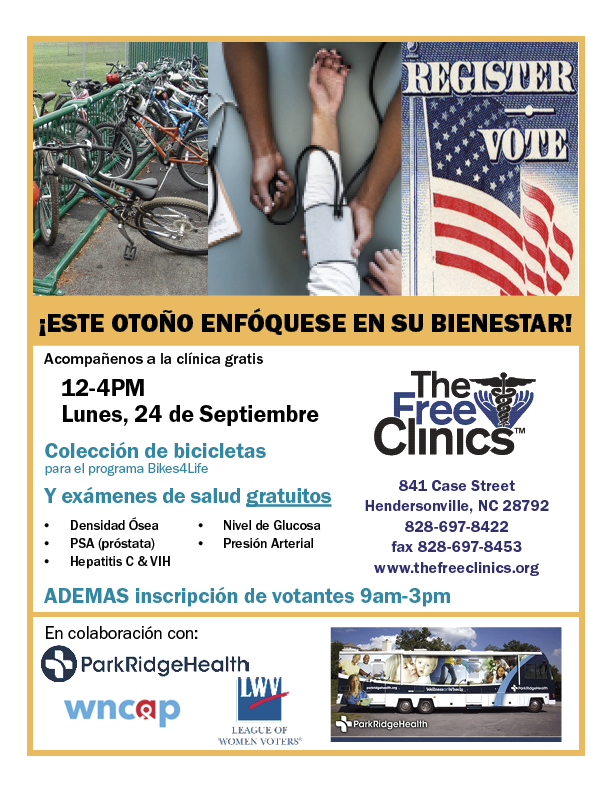 Screenings include blood pressure, blood sugar, body mass index, Hepatitis C, and HIV testing. Our most recent Wellness event was Monday, September 24, 2018 from 12pm-4pm. Please check back soon for future dates.